ALBION – An Albion man was arrested today following an investigation into the sale and distribution of cocaine in the Village of Albion. The Orleans County Major Felony Crime Task Force, the Albion Police Department and the U.S. Department of Homeland Security investigations executed a search warrant at 217 Chamberlain St. Police seized over 21 grams of cocaine, cash, scales, packaging and other drug paraphernalia, the Task Force said in a news release. Clarence L. Dunbar, 48, of 217 Chamberlain St. was charged with 3 counts of criminal sale of a controlled substance in the third degree (Class B felonies) and 5 counts of criminal possession of a controlled substance in the third degree (Class B felonies). Dunbar was arraigned in the Albion Town Court by Town Justice Joseph Fuller. 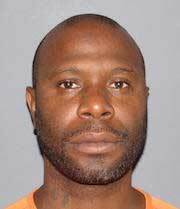 Dunbar was committed to the Orleans County Jail without bail due to his extensive criminal history, the Task Force said. He is to return back to the Albion Town Court on Sept. 14 at 10 a.m.
Additional charges and arrests are pending in this investigation, the Task Force said.